DAMASCUS — Rebel fighters and civilians began leaving an area in central Syria on Monday, state media said, under yet another negotiated withdrawal that will see regime forces expand their control. Opposition fighters agreed with regime forces and their allies to a ceasefire deal last week for parts of Syria’s central provinces of Hama and Homs, including the rebel towns of Talbisseh, Rastan, and Houla. Under the deal, thousands would leave the area for an opposition-controlled zone in Syria’s north. State news agency SANA reported on Monday that more than 60 buses carrying hundreds of rebels and their families were ready to depart for the north. 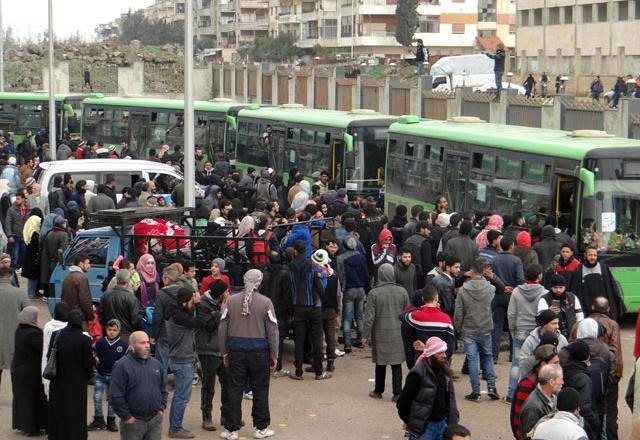 Images by a local photographer showed Syrian adults and children, some carrying luggage, at a departure point where a line of buses waited to transfer them out of Rastan. 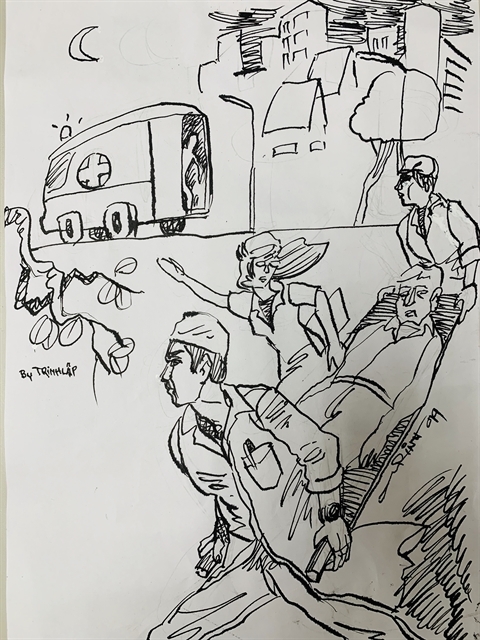 Similar evacuation deals typically see the buses gather together at a single collection point before departing together as a convoy. Syrian state television said the operation would take place over two days. The rebel fighters are expected to head to the Islamist-controlled province of Idlib in the northwest or the rebel-held town of Jarabulus, in neighbouring Aleppo province. The deal also provided for the surrender of rebels’ heavy weapons to Syrian troops and allied Russian forces, the return of government institutions to the three towns, and the reopening of a key highway. The area in Homs was part of a "de-escalation zone" agreed one year ago by opposition supporter Turkey and regime allies Iran and Russia. The four zones initially saw a reduction in shelling but violence has since escalated. It is the third such transfer deal for Homs province, after thousands were bussed out in a pair of agreements for the city itself in recent years.